This year ACE is celebrating its 40th anniversary, and it decided to return to its roots. 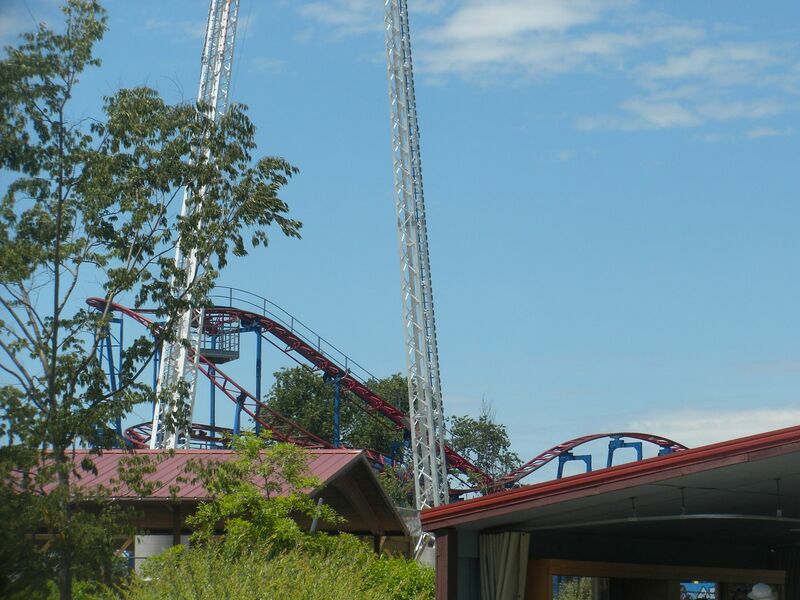 ACE was born out of Coaster Convention 1 at Busch Gardens Williamsburg. The idea of this convention and of a club itself was born from a coaster marathon at Kings Dominion in the summer of 1977 as publicity for the movie Roller Coaster. 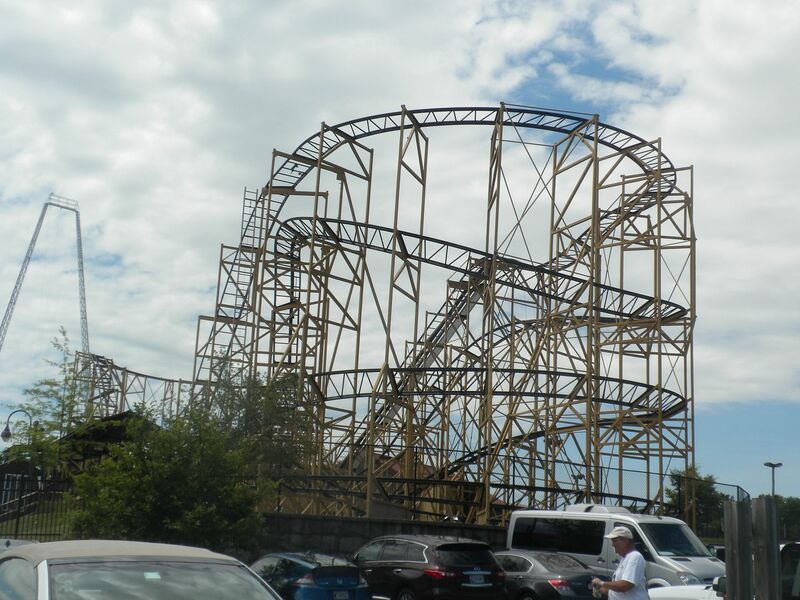 Now 40 years after that first convention and 41 years after the genesis of an idea for a coaster enthusiast organization, ACE returned to those two parks. But the convention would start at Six Flags America. Prior to Coaster Con 41 ACE Mid-Atlantic held a regional event at Adventure Park USA in Monrovia, MD I left work a little early on Friday, June 15 and drove to Maryland, stopping to pick up Richard Bostic in South Carolina along the way. We made it most of the way up, stopping for the night and completing our journey Saturday morning, June 16, arriving around 8:30. We met up with Vanessa Thomas and David Lipnicky, with whom we would spend the rest of the trip. We also met up with Kevin Knapp and Jackie Lara with whom we would spend a good bit of time over the next week. Operating since 2005, this small park has a nice collection of relocated coasters. I previously visited in 2016. Wildcat: (Schwarzkopf, Wildcat-54m, 1976/1984/1994/2001/2007) Relocated from Busch Gardens Williamsburg as Die Wildkatze, Playland Park as Wild Cat, Steel Pier as Wildcat and Williams Grove Amusement Park as Wildcat, where I first rode it, it was significant that this well-travelled coaster started its life at the park that we would celebrate ACE’s 40th anniversary later in the trip, particularly since it was present there at Coaster Con 1. Due to a fire where the other train was stored, they are currently only running one train. In spite of a bit of a wait each time, we still got to ride a good bit. 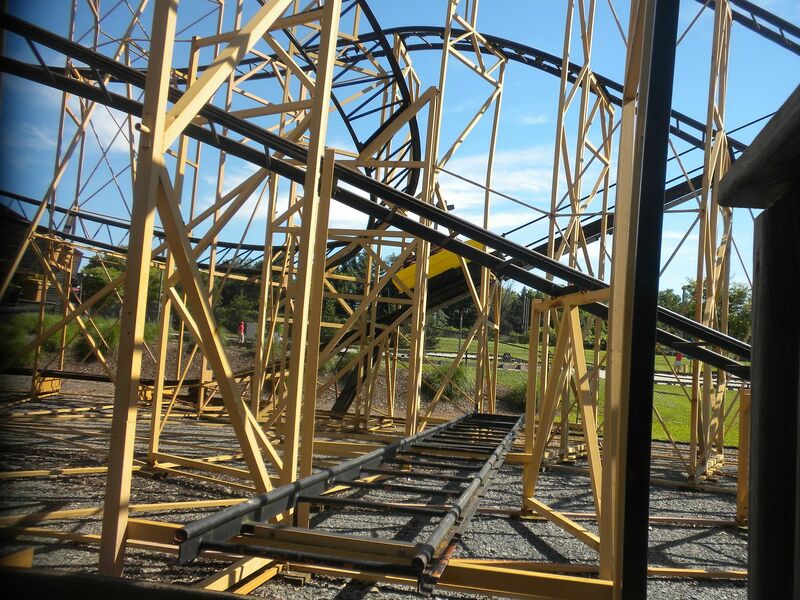 I love Wildcats and this one runs very well – 7 rides, 1 during ERT. Wild West Express: (Zamperla, Windstorm, 1997/2015) Relocated from Old Town as Windstorm, where I first rode it, this gave a good ride. 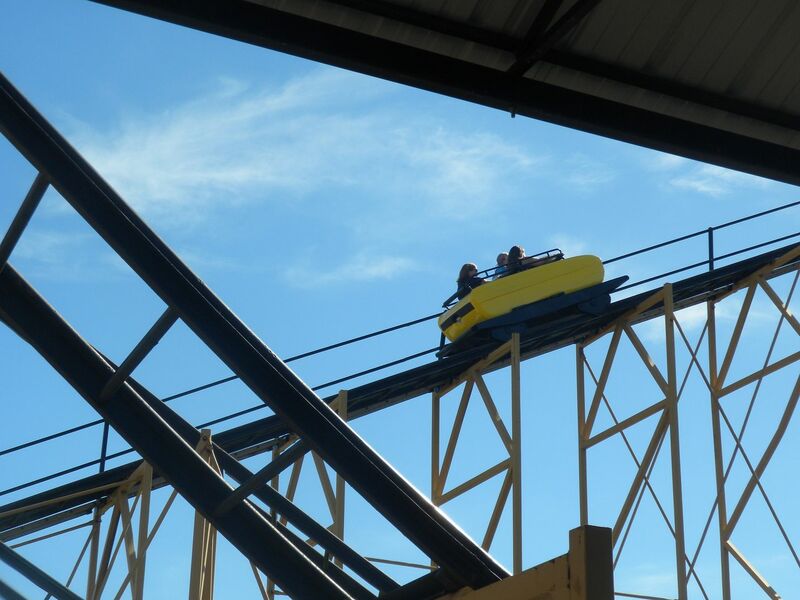 Richard and David got to walk up the lift hill during a tour – 2 rides, 1 during ERT. 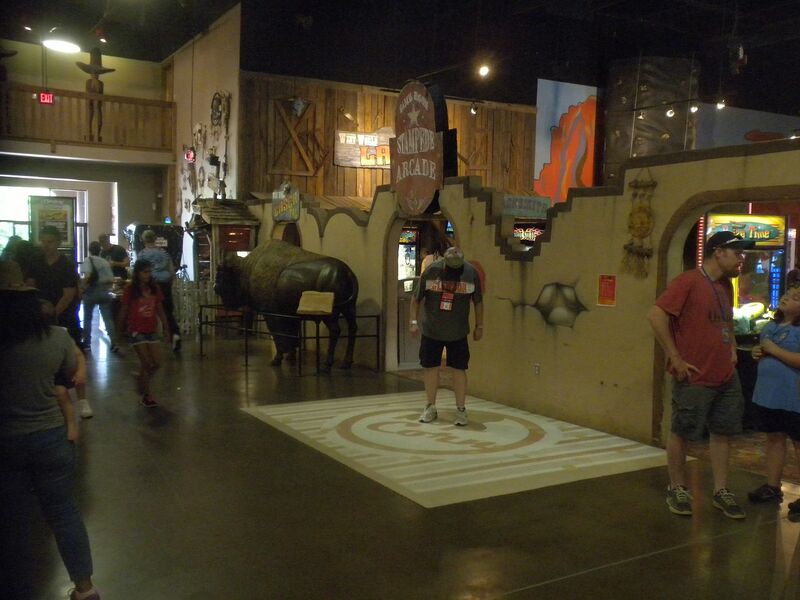 Tumbleweed: (Miler Manufacturing, Kiddie Coaster, 2014/2015) Relocated from Jolly Roger Amusement Park as Sea Serpent, it gives a good ride – 1 ride during ERT. 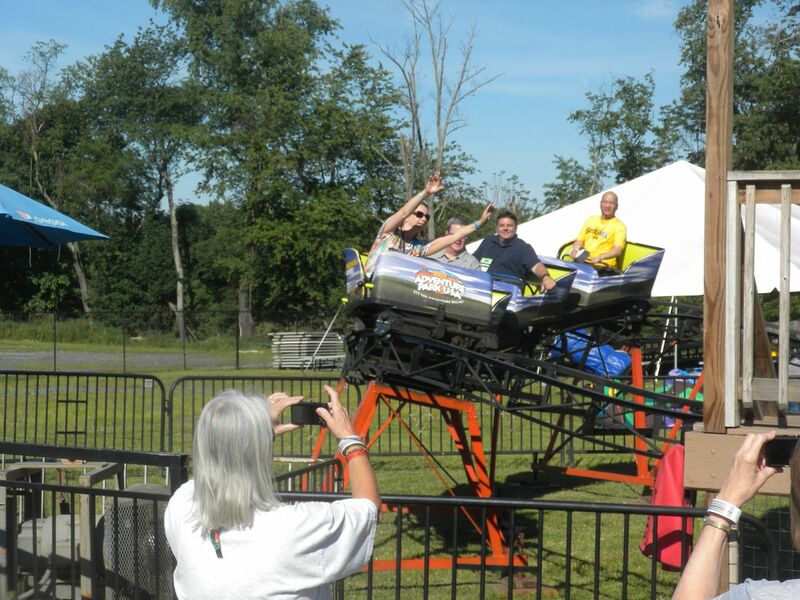 Blazing Trail Go-Karts: These were good – 1 ride. 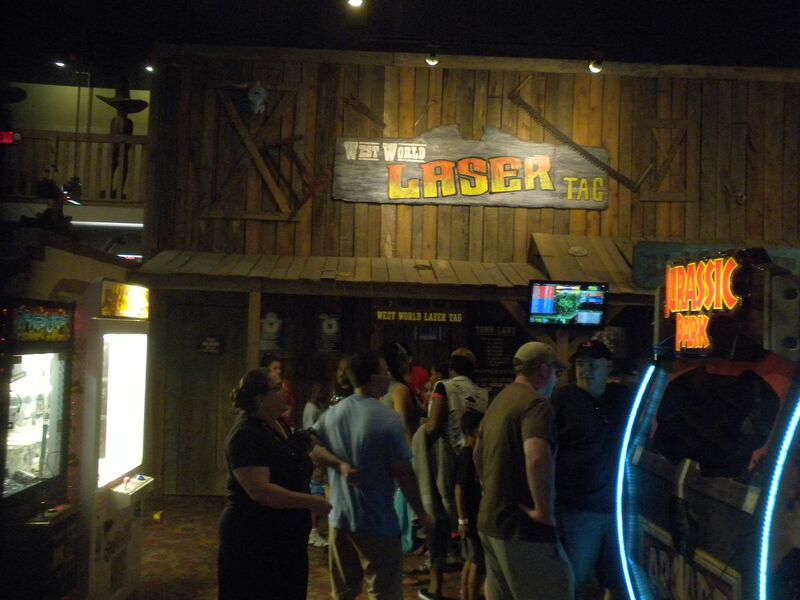 West World Laser Tag: This is a two story laser tag maze – 1 game. 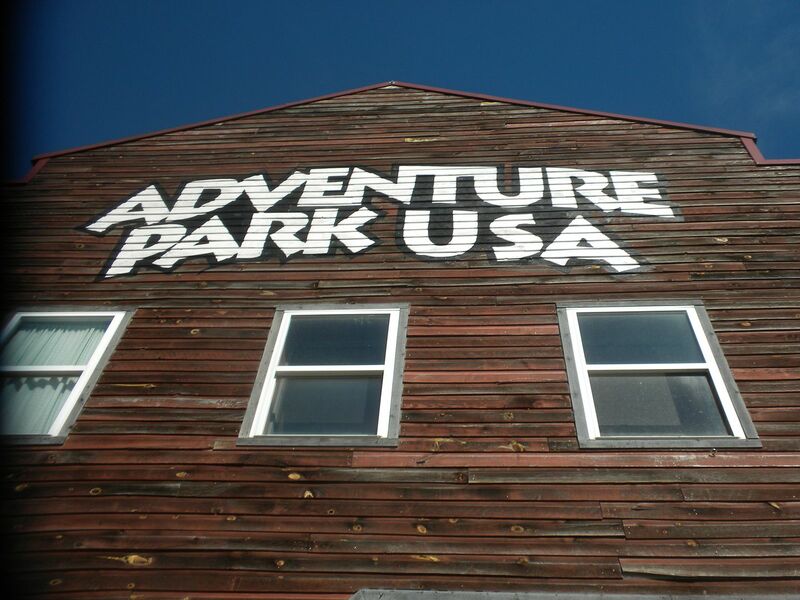 Other attractions include Skyrace, Crater Lake Bumper Boats, Road Runner, Mini Golf, Hologate Virtual Reality, and Spin Zone Bumper Cars. 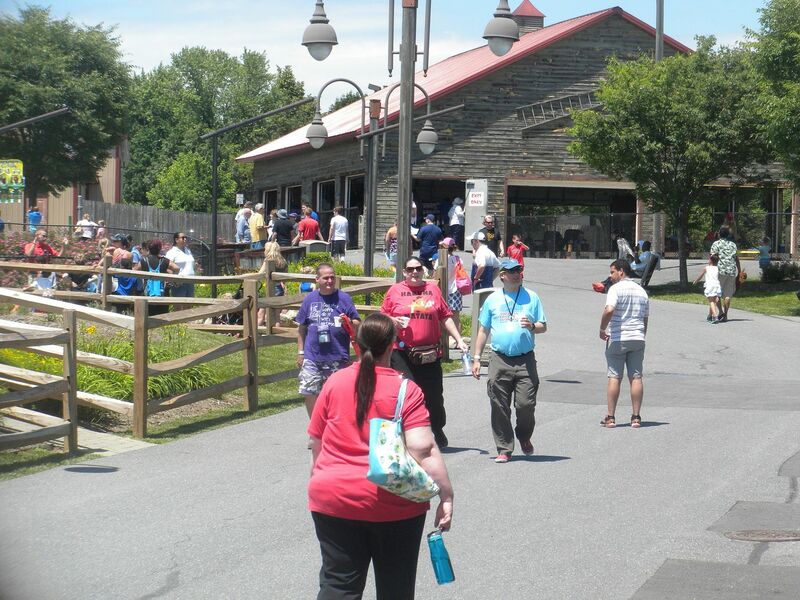 The park provided a good meal of hamburgers and hot dogs. We had a fun time, and this is a nice, small park for families to enjoy. 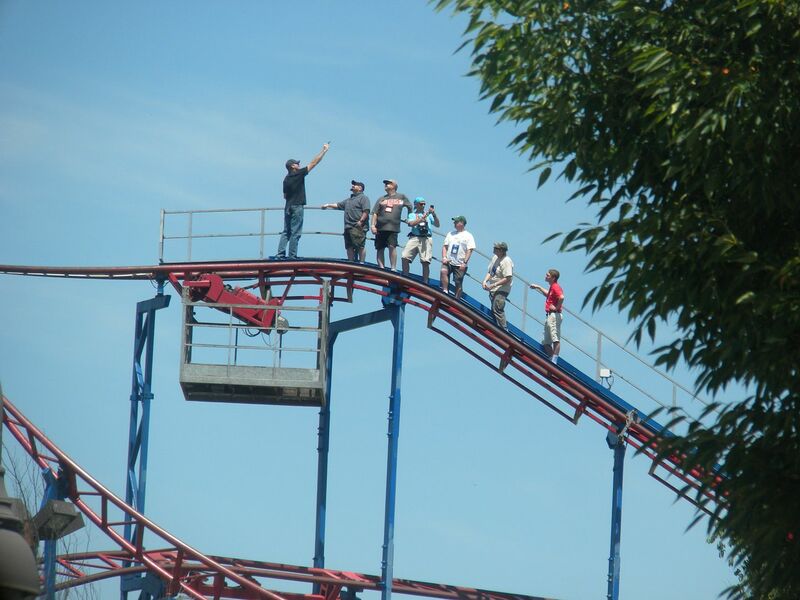 Around 2:00 we headed out with Richard, David and Vanessa going to a concert in Baltimore, while I went to Six Flags America with John Allen (the coaster enthusiast, not the late coaster designer). The next day would be registration and the beginning of Coaster Con 41.